4x4 trail maps for your next offroad or overland adventure. Plan overlanding expeditions and discover new dispersed camping spots with the best navigation app. Plan your next overlanding trip like the pros with the best offroad and overland maps, all in one app. 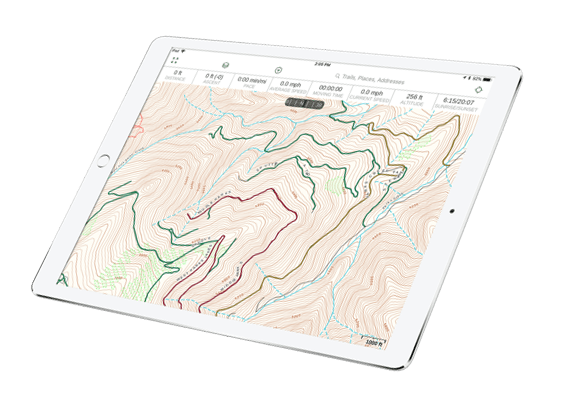 Know what to expect from the 4x4 roads ahead with topo maps from USGS and USFS, overlaid with motor vehicle use restrictions, property ownership, and more. Check your rig is built for the road with USFS Motor Vehicle Use Maps which show seasonal closures and restrictions for 4x4 and offroad trails. Find new legal dispersed campsites for cars, trucks, and trailers by easily viewing public land designations like BLM and National Forest along with ownership of individual parcels. Know what to pack and the conditions ahead with updates every 12 hours for precipitation forcast and wildfire activity. Expect the next turn with detailed topo maps from the USGS and USFS.